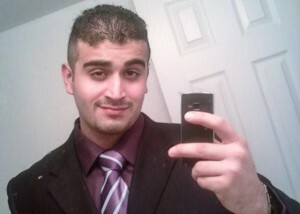 The Orland nightclub shooter where Omar Mateen killed 49 people and injured 53 others was his only target that day, the FBI said. Federal investigators were following leads that Mateen also wanted to target Disney World, but law enforcement found no such evidence, the USA Today reports. The FBI has received help from the 29-year-old security guard’s wife, who reportedly told investigators that she tried to prevent Mateen from carrying out the attack at the gay club. Now authorities are trying to determine whether the wife, Noor Salman, 30, knew enough about the attack to call authorities. If she did, she may face charges. “Indeed, we don’t know what charges will be brought, or if charges will be brought,” Bentley said. Posted: 6/16/16 at 10:07 AM under News Story.